Urbanization and Demographic Change in Kentucky Similar to many states in the U.S., the Commonwealth of Kentucky is undergoing significant demographic shifts. 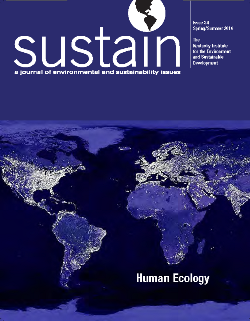 Three of these shifts – increasing urbanization, an aging population, and declining household size – are the subject of this article. These demographic trends have contributed to changes in the natural and built environment, and raise important questions about planning for our future. In what follows, changes in these characteristics over the past two decades are highlighted, and projections of future change are presented. Louisville: Immigration Rebirth Germantown. Schnitzelburg. Irish Hill. The names of neighborhoods within Louisville’s urban core evoke the integral role immigrant populations played in the city’s development. 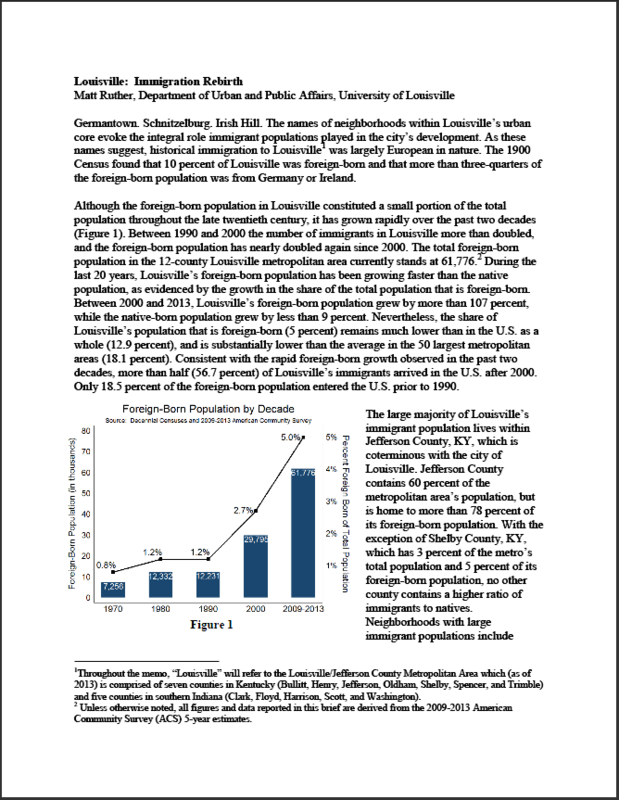 Although the foreign-born population in Louisville constituted a small portion of the total population throughout the late twentieth century, it has grown rapidly over the past two decades. Between 1990 and 2000 the number of immigrants in Louisville more than doubled, and the foreign-born population has nearly doubled again since 2000. This report examines the foreign-born population in the Louisville Metropolitan Area using data from the 2013 American Community Survey. 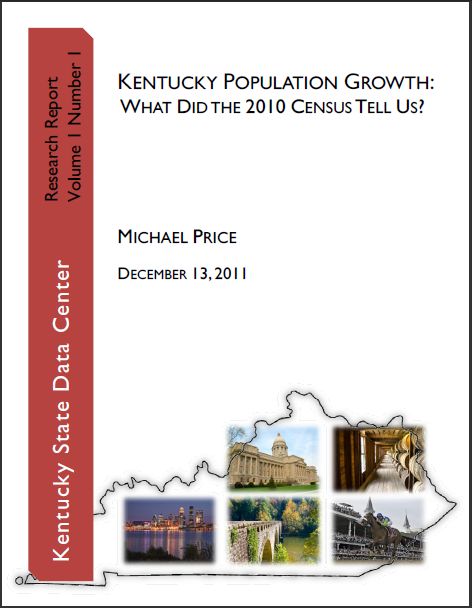 Kentucky Population Growth: What did the 2010 Census Tell Us? Over the last decade, Kentucky demonstrated two very different patterns of population growth. In much of Eastern and Western Kentucky, population growth was slow or negative. Young adults were likely to move away, leaving an older population and dampened natural increase. In stark contrast, the metro areas of Northern and Central Kentucky grew faster than the U.S. average. These communities attracted domestic and international migrants which in turn enhanced natural increase. In this report, the results of the 2010 Census are used to examine the demographic trends behind these growing disparities.